Our agreements with the content provider don’t allow purchases of this title at this time. 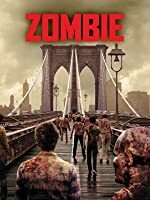 I've been very critical of reviews of other zombie-related films that lamented the lack of gore and overall grossness. I now feel vindicated - because "Dead Alive," like other first-rate gore-fests, just plain gets it right. And that's the point: no matter how much gore - and this film tops them all - it can be done (dare I say it?) tastefully. As most reviewers have already pointed out, this is primarily a comedy; the gore is just window dressing. 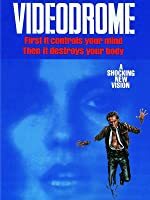 Incredibly, though, the gore somehow doesn't seem gratuitous; it's actually necessary to both plot and character development. Besides, it's not really gross gore; there are no bugs crawling out of people's noses and armpits - to me that's gratuitous gore. 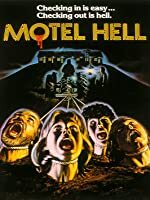 There was a movie (I don't even remember what it was about) called "Buckets of Blood"; this movie could rightly be called "Boxcars of Blood." 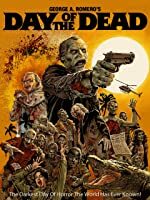 Anyone familiar with the "Theater of the Absurd" from the late 60's-early 70's would readily identify "Dead Alive" as an heir to that theatrical genre. 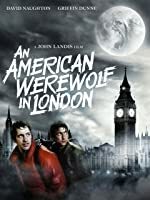 The very idea of the movie's hero desperately seeking a way to keep four undead people tastefully hidden away from public view is about as absurd as anything the "Theater of the Absurd" every envisioned. Which of course makes the humor here something like Deadpan on Steroids. The lead actor, Timothy Balme, is absolutely enchanting as the hapless soul whose mother turns zombie. And not far behind him is Ian Watkin as his greedy, sleazy uncle. 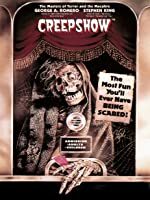 All in all, this is a charming little comedy-horror concoction with just the right amount of gore. 5.0 out of 5 stars"Your mother ate my dog!" "Not all of it." Hilarious. Audacious. And very very messy, I loved it the first time I watched it, I loved it even more the second time (but they only have a five star rating system here). 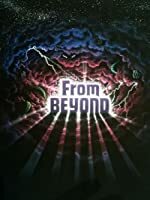 This movie is paced like a boulder tearing down a mountain, picking up speed, decimating everything in its path, until it reaches its glorious climax at an impromptu party given at the home of poor simple Lionel (Timothy Balme) and his almost dead Mum (Elizabeth Moody), courtesy of Lionel's evil Uncle Les. This party makes "bedlam" appear sedate and prissy by comparison. Favorite scene, Lionel taking the baby zombie to the park to play. That, and poor Lionel trying to glue Mum's face in time for dinner guests. What's a meal without pudding? Forget everything else Peter Jackson's done, this is his masterpiece. 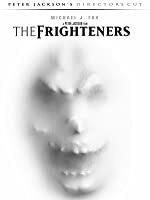 This actually more of a comedy than horror flick, albeit dark comedy. I think that is an important point for first time viewers to know, I could see being disappointed if you expected to be scared or feel in suspense when watching it. With that caveat though, it is indeed a very gory comedy. Still, I can't imagine anyone who has seen more than a couple horror films being too overly grossed out. The gore is so over the top and campy. By the end we were rolling our eyes at the fake blood. I could imagine the guys standing just off camera hurling the buckets of fake blood everywhere. It is just so ridiculous I can't imagine getting too nauseated by it or at all frightened. It reminds me of the blood and violence of the Kill Bill movies. Some of the scenes did get me in a gross out sort of way. The ear in the soup at the dinner table and when the mother ate the nurse's dog are two scenes that come to mind. Even then though it was a laughing at the same time we were exclaiming, "Oh, that is so gross!" kind of reaction. It is these moments that Peter Jackson's and Fran Walsh's creativity shines and it is these moments that make this movie a zombie gem. 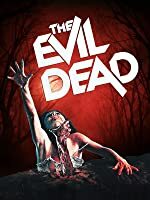 If you have seen Evil Dead and enjoyed that then this movie might be one you would like to check out as well. I love this movie, I can't get enough of it. Peter Jackson has understood that the only way to make a good gore movie is to shoot the ultimate gore movie. With a lot of blood. When I say a lot, I'm a little cheap because it seems that there is always one third of the screen filled with blood in DEAD ALIVE. 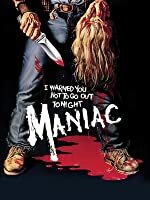 I've seen quite a lot of these gore movies that have invaded the screens since the seventies but I often felt uneasy watching the efforts of this new generation of scalpel directors. It was surgery on the screen to me, not cinema. I wasn't afraid but disgusted. On the contrary, DEAD ALIVE makes me laugh. Why ? Because it's a B degree movie. Peter Jackson knows that his audience has seen quite a lot of these horror movies and he plays with us. Furthermore, Peter Jackson has a terrific sense of humor. 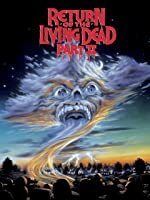 So, even if you're not fond of living dead movies, I'm sure you will pass a great moment with the possessive mother of the DEAD ALIVE hero and her hilarious companions. Just don't forget your umbrella. Why is there no special edition of this movie? Doesn't anybody realize that the Peter Jackson who directed this film also directed the Lord of the Rings trilogy? Hell, Bad Taste has a special edition for cryin' out loud! Ok, I just had to get that out. 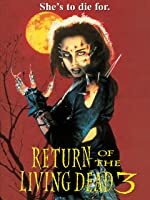 Dead Alive has a permanent spot in my Horror Top 10. 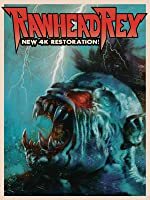 If you have a problem with dismemberment, fake blood, or albino primate/rodent hybrids from Skull Island, well you should still watch this movie. 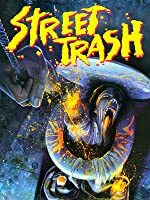 Hilarious, disgusting, with tons of how'd they do that shots. Jackson is a twisted, deranged madman and here's the proof. 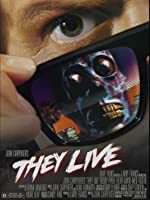 Dead Alive redefined over the top gore and has yet to be matched. 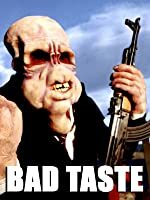 Whether it's punching through a lady's face, mowing down party going zombies, or returning at last to a mother's womb, this movie will have you laughing non-stop and then doing double takes because of all the insane sight gags. 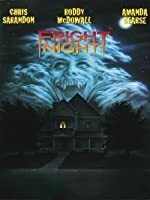 A classic that needs better dvd treatment.